There’s no shortage of art, history, and science museums in Los Angeles, but why settle for the ordinary? These four museums are unique, fun, and exclusive to LA and Hollywood. 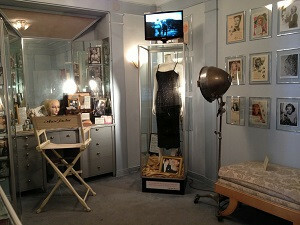 The Hollywood Museum: Home to the most extensive collection of Hollywood memorabilia in the world, including props, one-of-a-kind costumes, scripts, and more, there’s no place to get a better appreciation of the last 100 years of Hollywood. Discover the lives and legends of stars like Marilyn Monroe, Elvis, Angelina Jolie, and George Clooney. Guinness Book of World Records Museum: See record-breaking feats and facts come to life at the Guinness Book of World Records Museum. Interactive and amazing, visitors can test their weight against the world’s heaviest person, attempt the world’s longest jump, and experience unbelievable speeds in the Adrenaline Theater. Aside from the usual records, see the unexpected, such as the Largest California Roll, Longest Chair Balance on the Edge of a Building, and the Longest Bicycle Wheelie Journey. From the great to the gross, discover what it takes to get in the Guinness Book of World Records Museum and make a mark on pop culture. La Brea Tar Pits Museum: The most famous Ice Age excavation site, La Brea Tar Pits is a must-see for future paleontologists and natural history fans alike. The Ice Age was a fantastic time, filled with animals so like today’s, yet almost alien. Mastodons, Saber-toothed Cats, and more have been found in the tar pits, and visitors can see current excavation at the Observation Pits. The museum itself has plenty to check out, too. 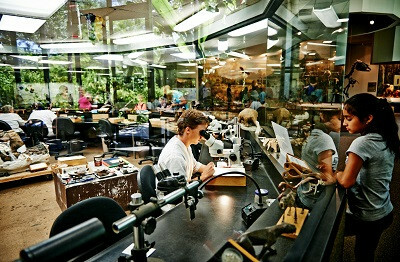 Visitors can check out the Fossil Lab to get a look at how actual fossils are cleaned and studied. Want to watch a show? There’s Titans of the Ice Age in the 3D theater, or Ice Age Encounters, a live multimedia performance that includes a life-sized Saber-toothed Cat puppet. Museum of Death: Anyone into the macabre should make time for the Museum of Death. Not for the faint of heart, it offers a truly fascinating look into the minds of serial killers, the history of funerary equipment, and other unusual paraphernalia related to death. While it seems like a shocking gimmick, the Museum of Death is actually designed to educate. Perfect for future CSIs and police officers, it displays original crime scene photos of the Charles Manson and Black Dahlia murders, plus autopsy videos. For psychology students wondering how people can be drawn into a cult, there’s the Heaven’s Gate recruitment video. It also houses the largest collection of artwork done by serial killers, including the infamous John Wayne Gracy.